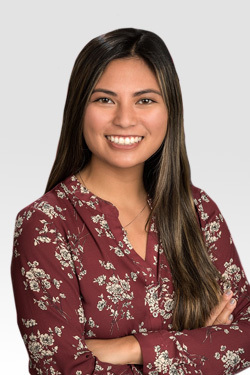 As an Associate at Vantage Point Advisors, Inc., Katarina Quach conducts business valuation work utilizing a variety of valuation methodologies including discounted cash flow, guideline public company and transaction analyses, option-pricing methods, and equity allocation. Ms. Quach is involved in a wide variety of projects including BEV/fair value measurement, debt and equity securities, share-based compensation valuations (under IRC 409a and ASC 718 and financial reporting/tax compliance. Prior to joining Vantage Point Advisors in 2018, Ms. Quach worked as a Corporate Value Consulting associate for Grant Thornton LLP in the firm’s San Francisco, CA office. Ms. Quach graduated from Cal Poly, San Luis Obispo with a B.S. in Business Administration, concentrating in Financial Management, and a minor in Communication Studies. Ms. Quach has passed all three levels of the CFA Program and may be awarded the charter upon completion of the required work experience.